Artichokes grilled in the traditional manner with olive oil, sunflower oil, and salt and seasoned with parsley and garlic. Ideal served warm as a side dish for grilled meats, hamburgers, and fish. 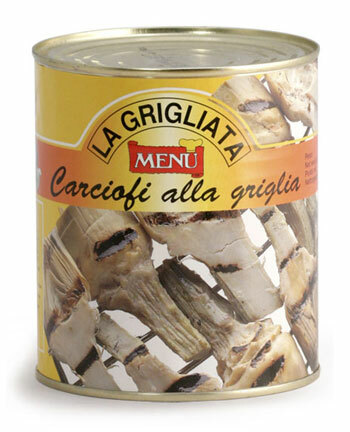 Excellent as a cold buffet dish, and delicious as topping on pizzas and also for hot sandwiches.